Do you think these will ever be available in the smaller bottle size like 105 & 205? Some of us don't polish as many cars as we used to. Understood, but, I have not heard of any plans at this time to have smaller than 32oz sizes. I'm looking forward to getting some! I'm glad to see (unlike M101) it is available in Gallon sizes! M101 is a favorite of mine. I would hate to see it phased out. It is my go-to swirl killer! I have yet to use M110 so I can't make any comparisons to M101 yet...but I do have M110 on order! Any word on how M110 is regarding staining trim? I know the "official" word is likely to still tape off, but is it as bad as say M105 regarding staining? 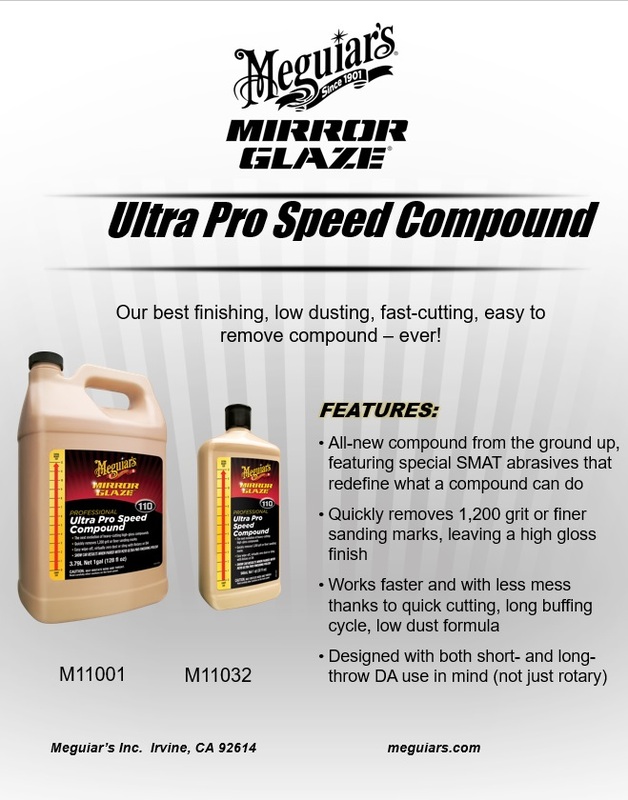 I always get excited to try a new compound that doesn't stain because it saves me taping off... Until I have to use twice as many passes to get less of a result than m101/m105 would have gotten me in the first place. We do not market that it does not stain trim, and I have not used it enough to comment on this. Once it gets out there, which is soon, we can see what others experience to our other products. I would imagine it will not be dramatically different. Quick question, I see no mention if this product is OK to use by hand. I frequently use M105 by hand for nook and cranny areas that are very hard or impossible to hit by machine, and quick touch ups for scratches and scuffs where it's faster and more practical to simply rub the small area out by hand compared to breaking out the machine. Yes, it can be applied by hand, d/a, or rotary. Looking very forward to putting these new liquids through their paces! 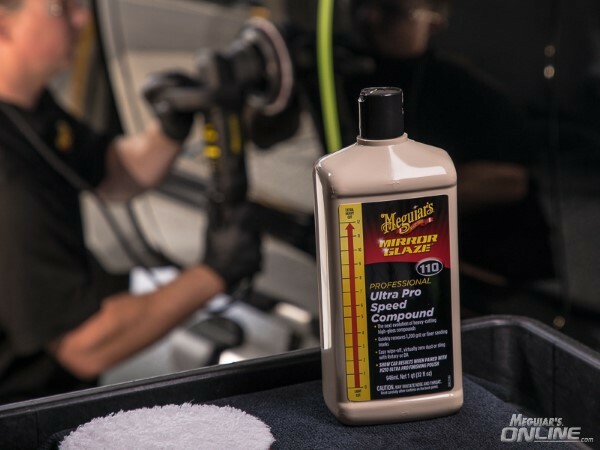 **New** Meguiar's #105 Ultra Cut Compound Review!!! !